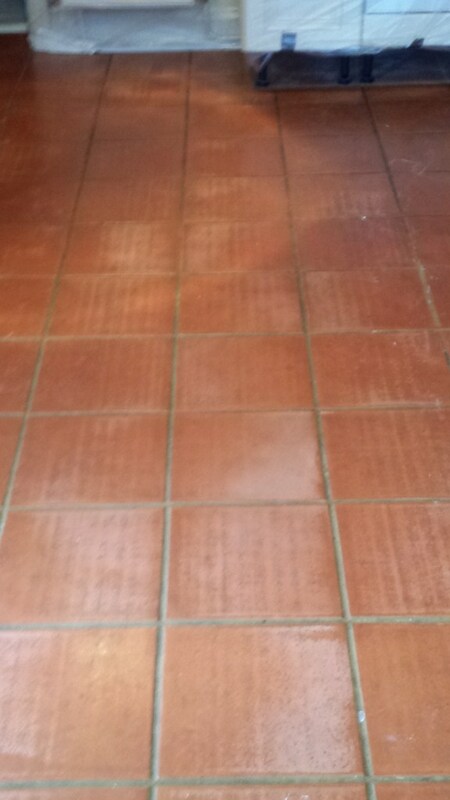 This was an old Terracotta tiled floor at a house in the village of Toddington where the previous sealer had been worn off allowing dirt and soil to penetrate into the tile, naturally this made it difficult to clean and it was now overdue for a good deep clean and re-seal. 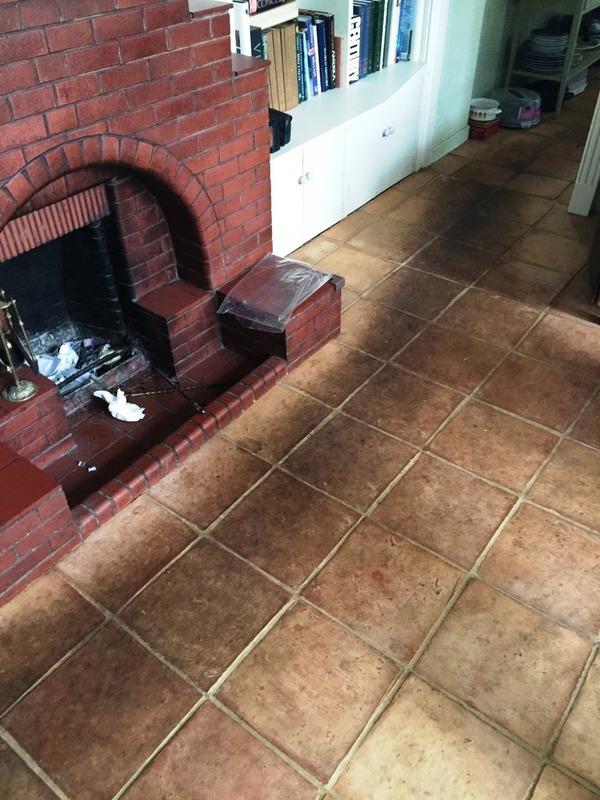 To get rid of any remaining sealer and get the tiles clean we applied a strong dilution of Tile Doctor Pro-Clean mixed 50/50 with NanoTech UltraClean which combines a heavy duty alkaline cleaner that can also be used as a stripper with tiny abrasive particles. The resultant cleaning solution was left to dwell on the surface of the tile for twenty minutes before working it into the tiles with a rotary machine fitted with a black scrubbing pad. The soiled solution was then removed from the floor using a wet and dry vacuum and the stubborn areas re-treated. 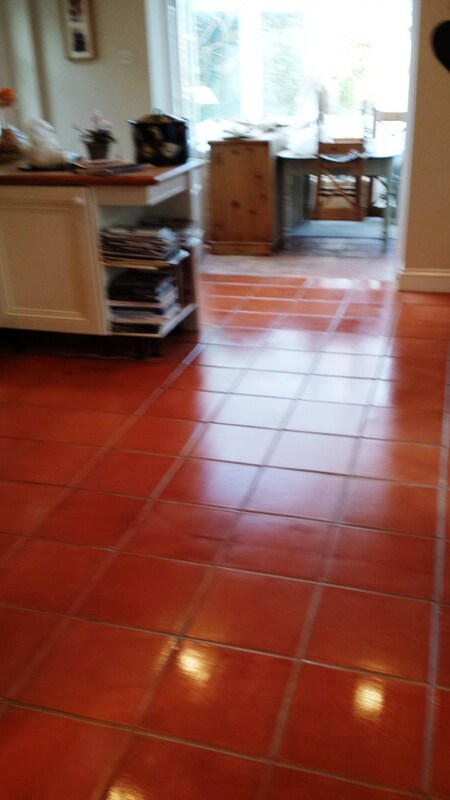 Once I was happy the floor was clean and any remaining sealer removed the whole floor was washed down to neutralise the tile and remove any trace of cleaning chemical before sealing. 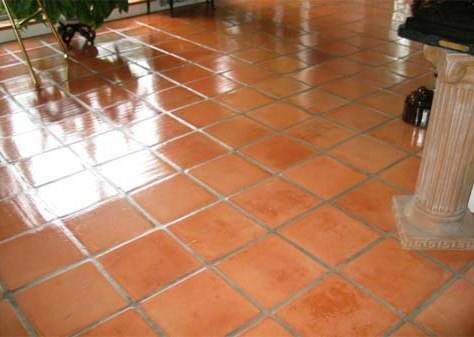 Leaving the old sealer on any cleaning solution on the tile could have an unexpected impact on the sealer so it’s always best to make sure this is done thoroughly. 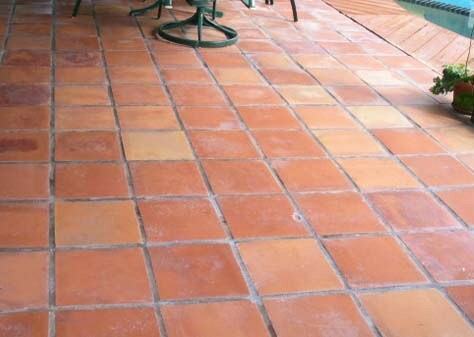 The floor was left to dry overnight and when we returned the next day when the floor was completely dry to seal using seven coats of Tile Doctor Seal and Go (Terracotta is very porous) which works well on Terracotta adding a nice shine to the tile as well as providing on-going stain protection. The final result looked great and will last for many years to come, the customer was so happy with the finish.